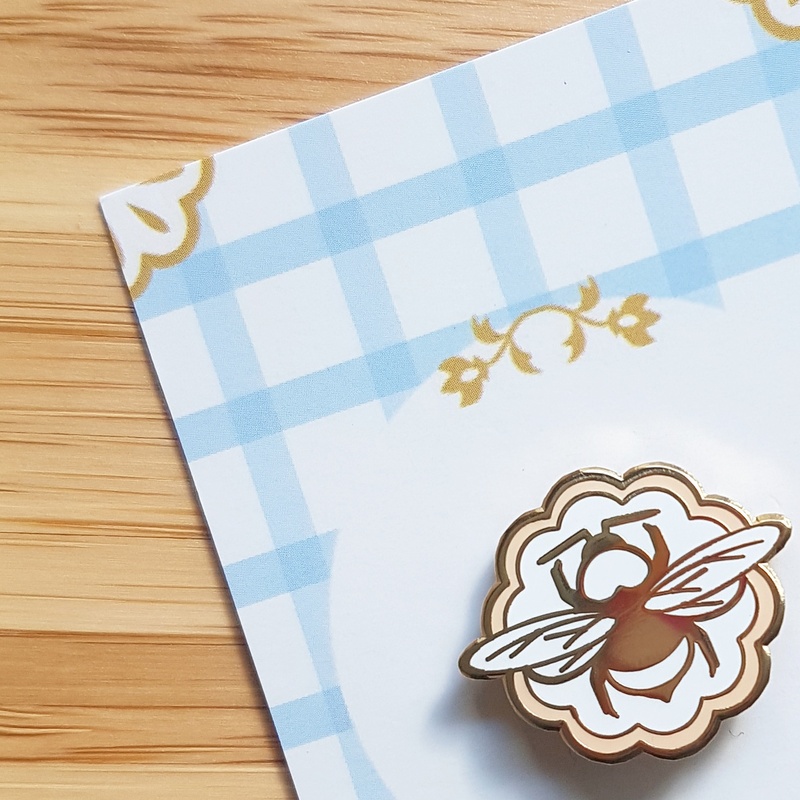 A little blog post for today to show you my bee pin collection and where I get hold of them (most on Etsy) and plus a special Jess & The Bee offer for you! 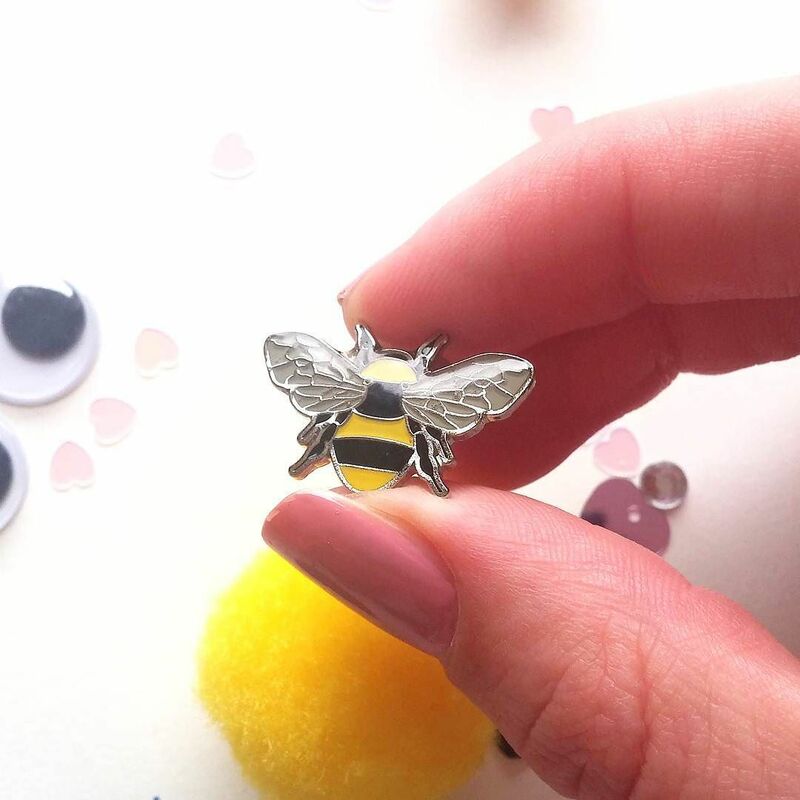 Having started off building my pin collection with a bee pin from none other than The Manchester Bee Company, it seemed only right that I got hold of a few friends for my lonely bee! 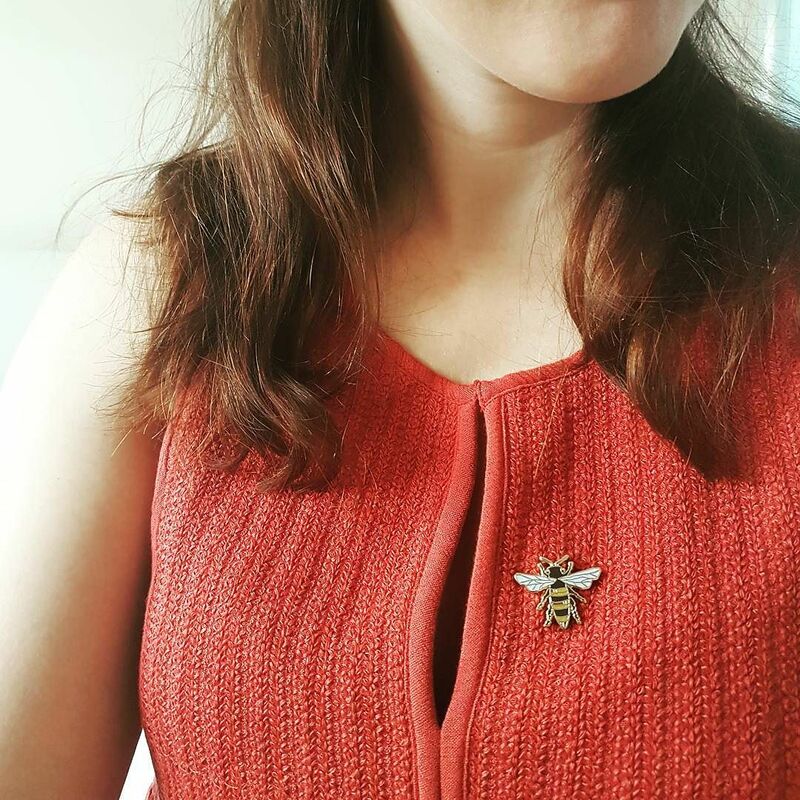 Rosebud Casson,a fantastic UK based pin artist, has released two designs – a honey bee (great value at £6) and Ernie the Bumblebee bee double pin set at £10, which are now part of my collection and sit happily on the lapel of my coat! Check out her other amazing pins and handmade jewellery inspired by British nature. Rosebud Casson & her Ernie the Bee pin! 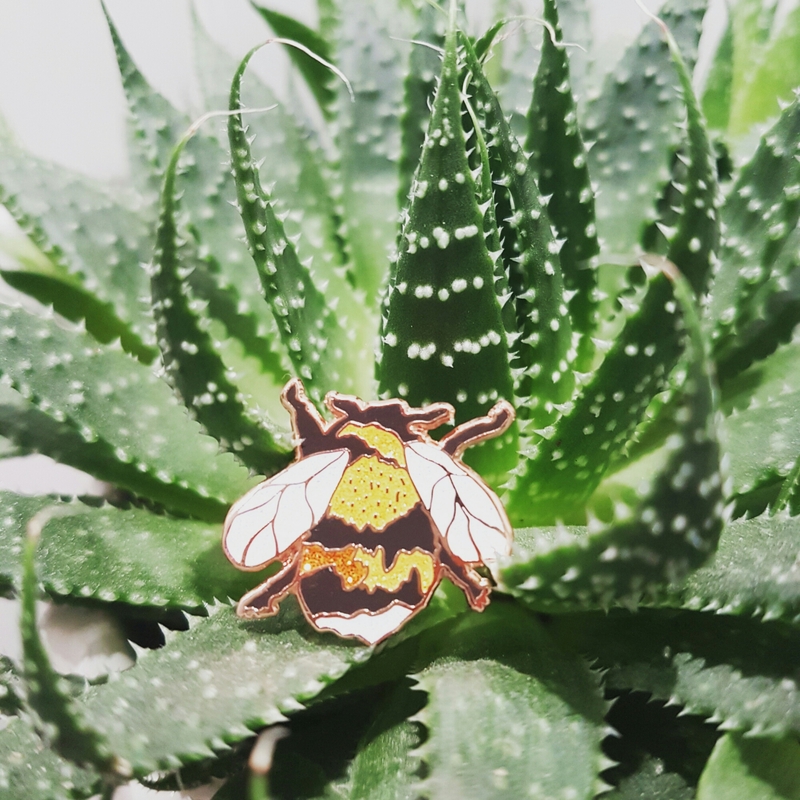 When I stumbled across a brand new Etsy seller a few weeks ago on instagram I dived over to her page to buy this stunning enamel pin of a simplistic bumblebee flat on a scalloped flower shape. It’s so simple and pretty, matching everything I wear! 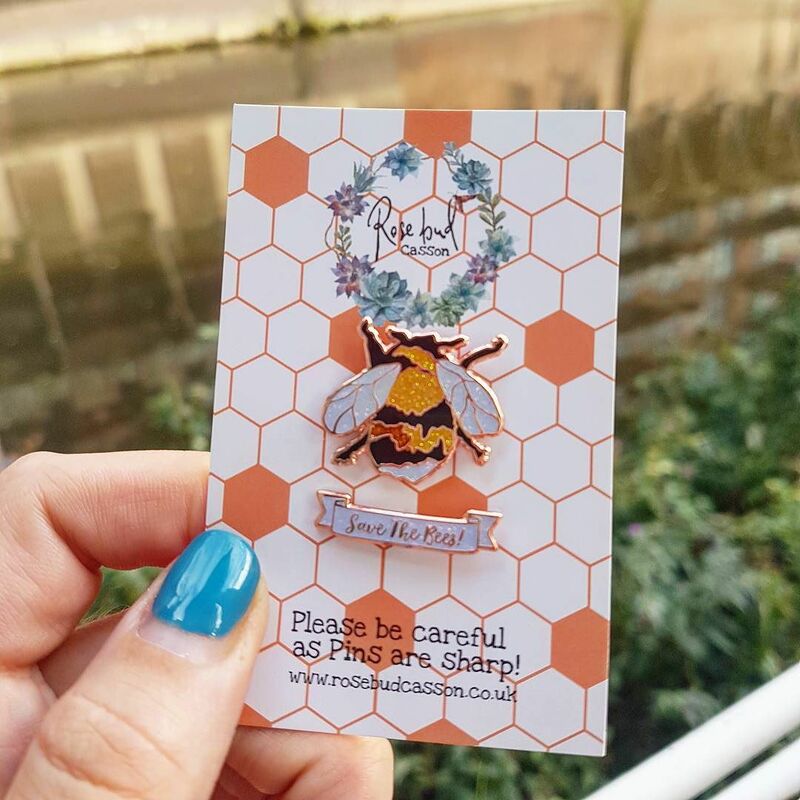 You can find this gorgeous pin in her Etsy store and enter a special code to receive a Jess and the Bee discount on the shipping! The code is ‘opening10’ and is valid until 14th October. 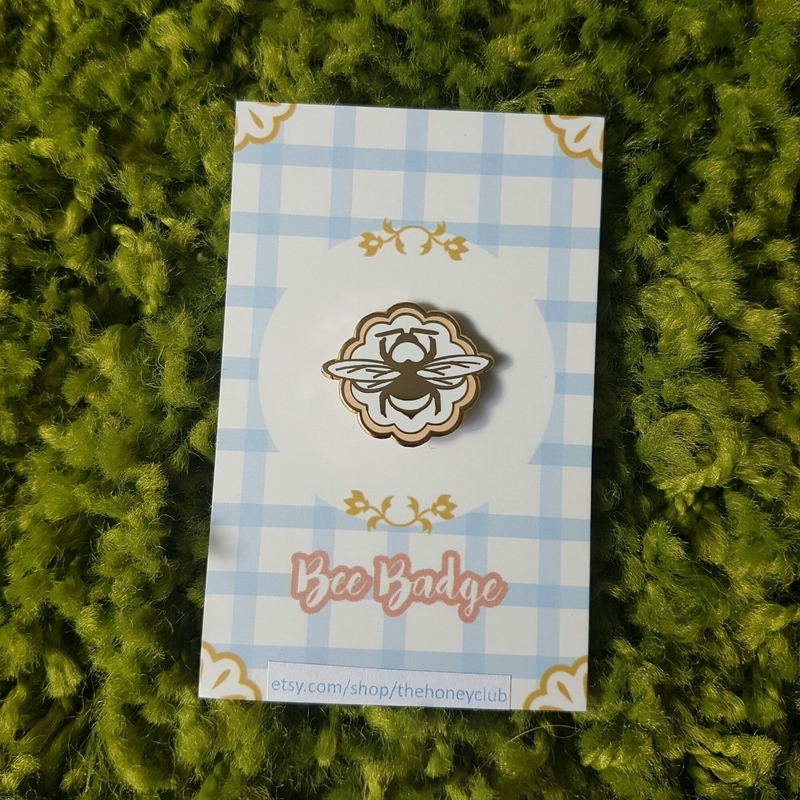 If you’ve seen any bee pins around please let me know! 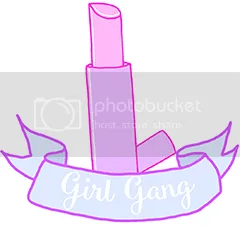 I’ve seen this one on Etsy and I’m seconds away from adding it to my collection!